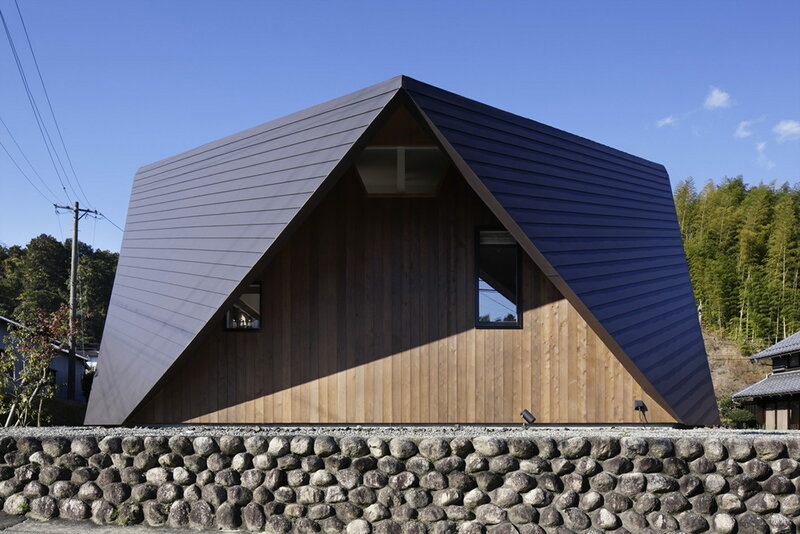 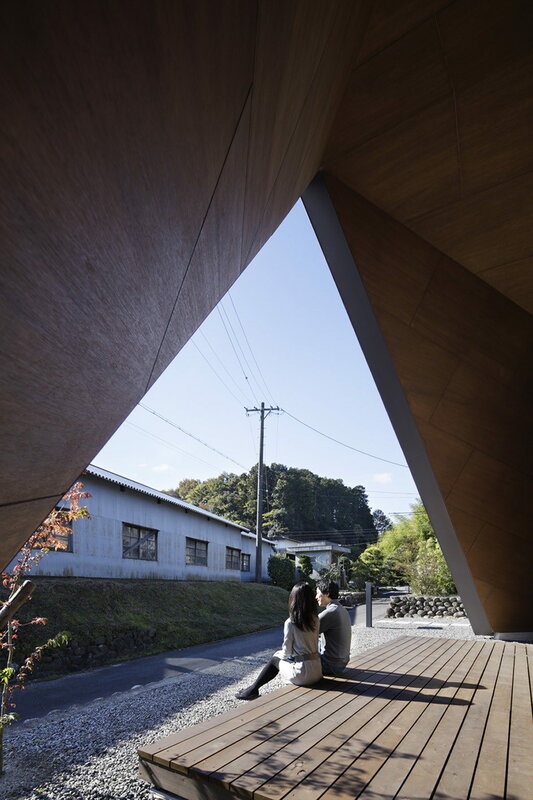 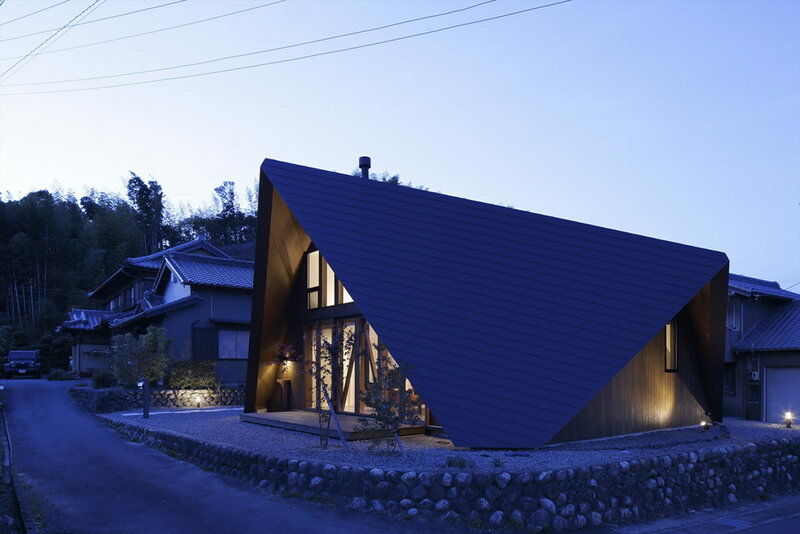 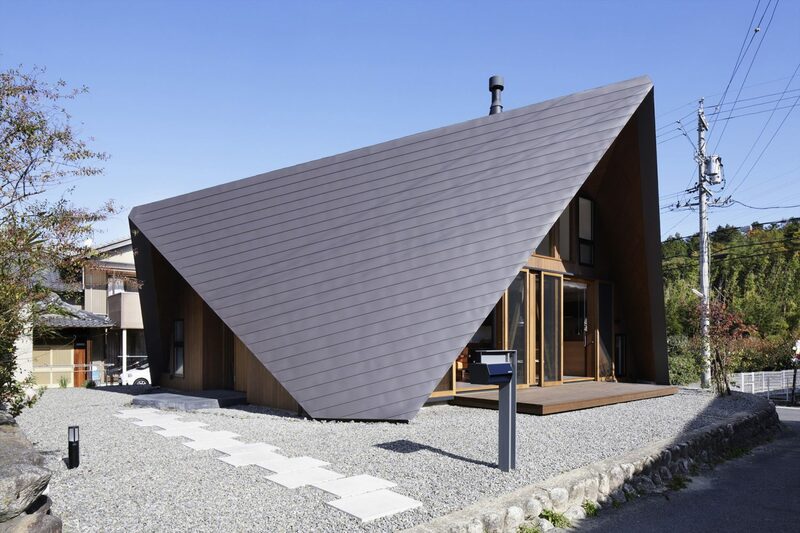 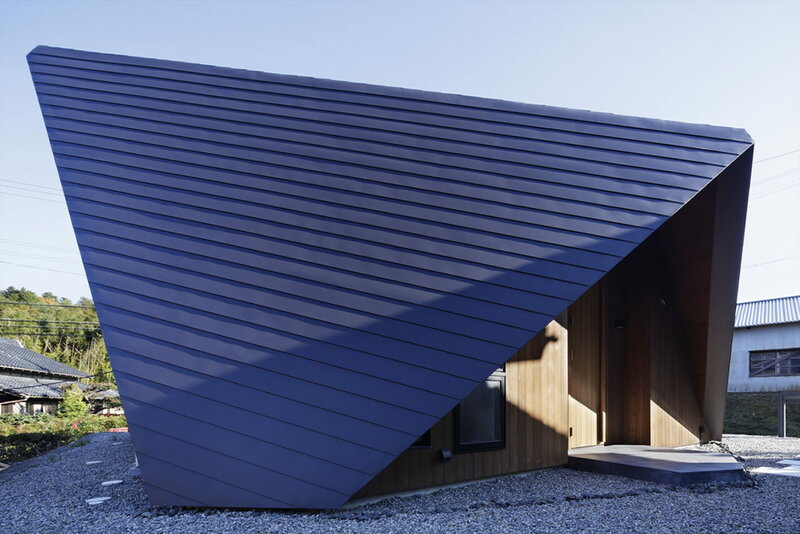 Located in the old village surrounded by mountain, Japan’s Mie Prefecture, Origami House is a 112-square-metre (1,205-square-foot) home with an origami-like roof. 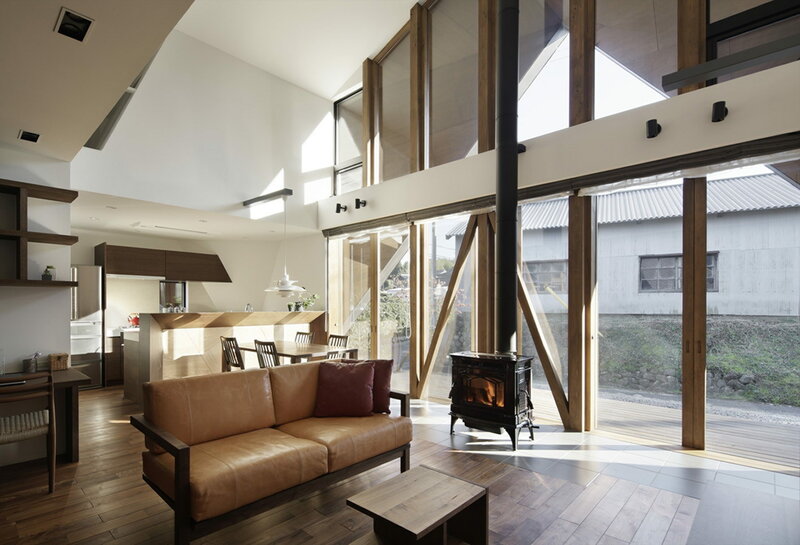 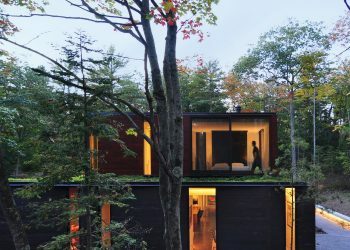 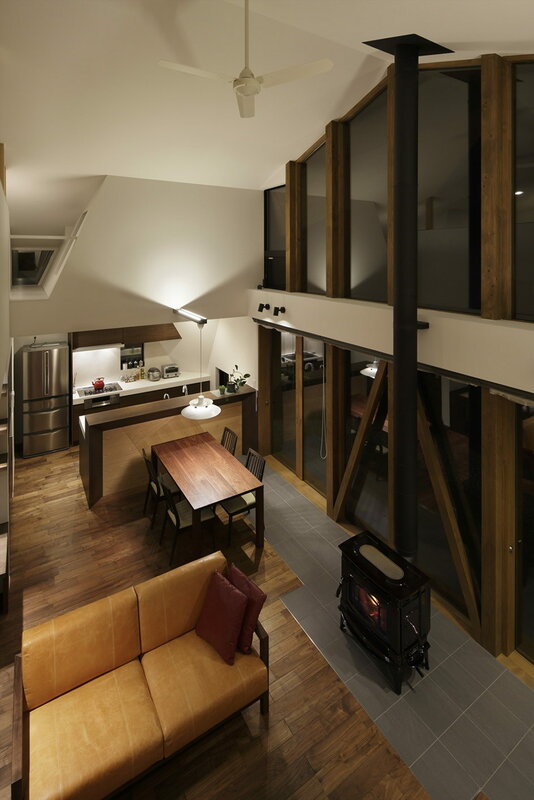 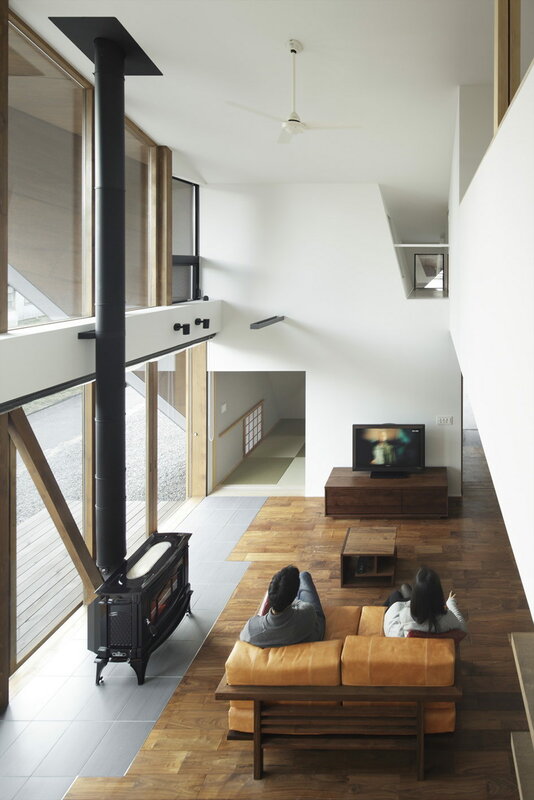 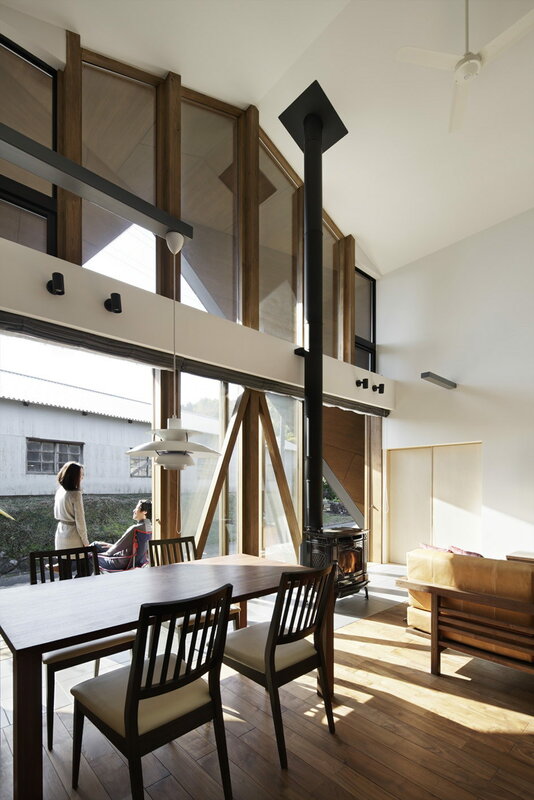 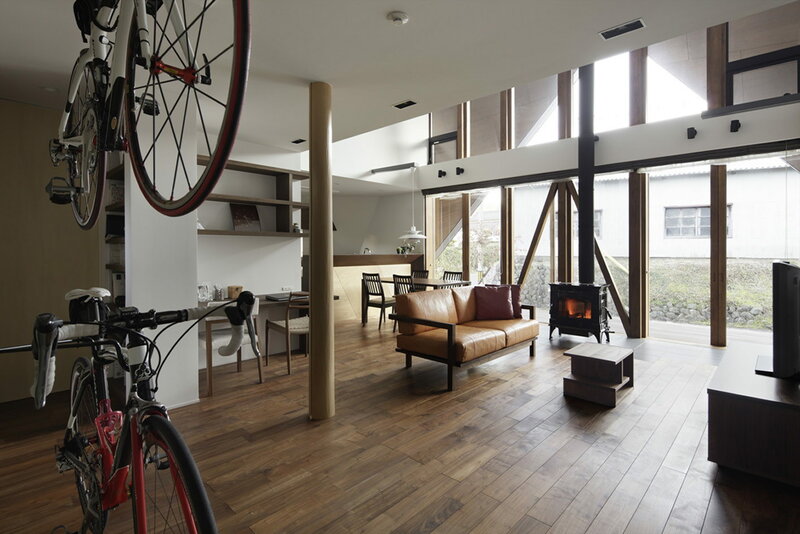 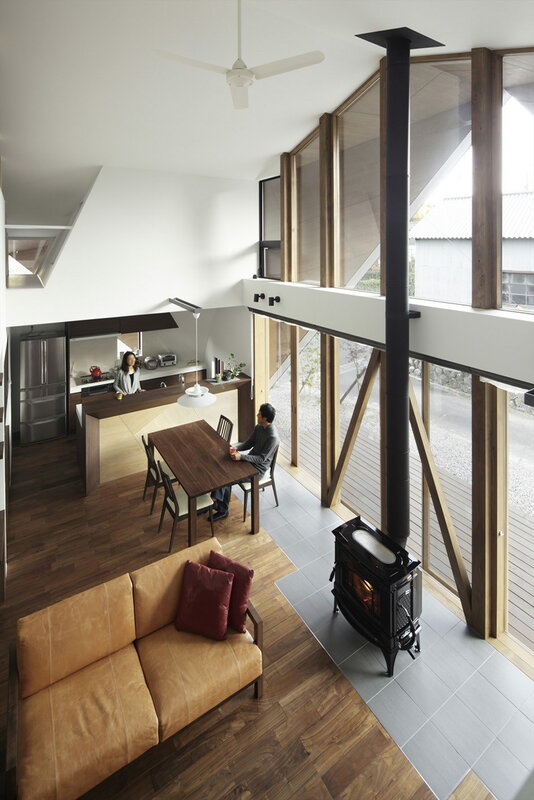 Designed by TSC Architects, the Orogami House belongs to a young couple who returned to their family’s ground to begin a new life. 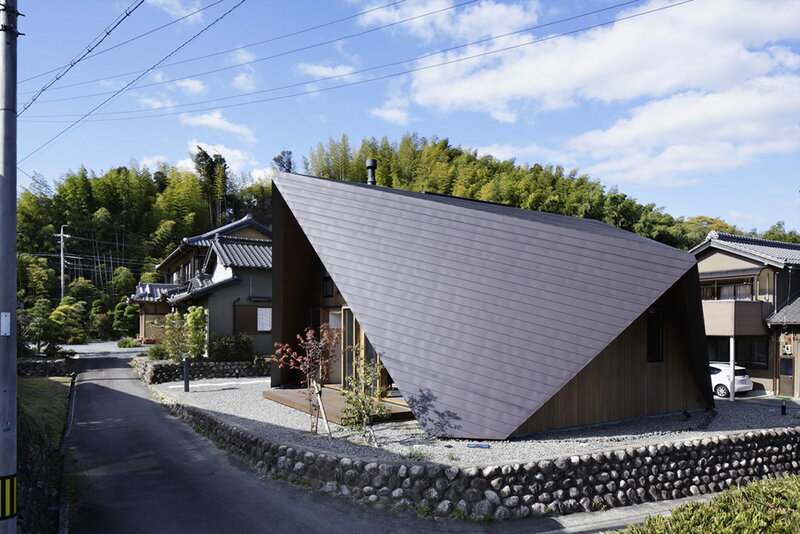 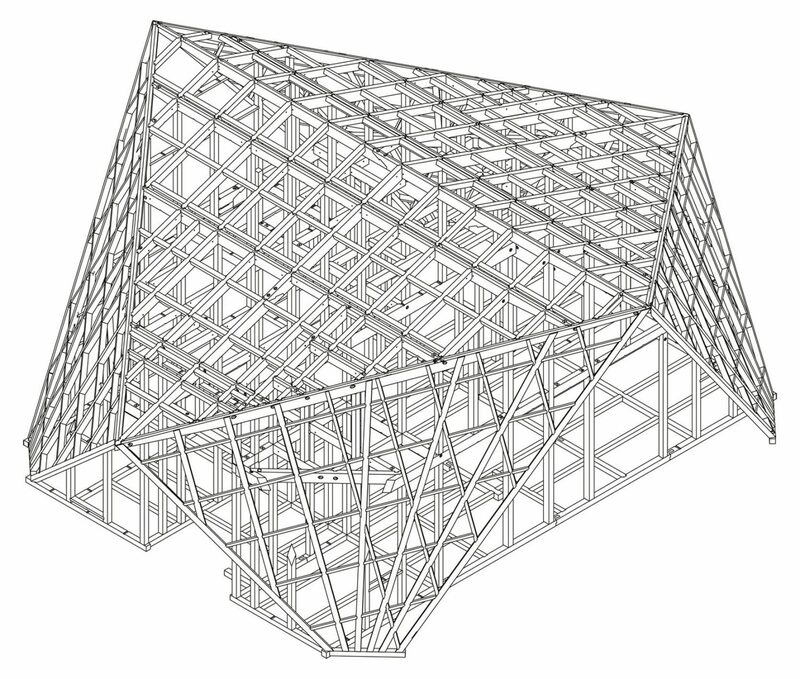 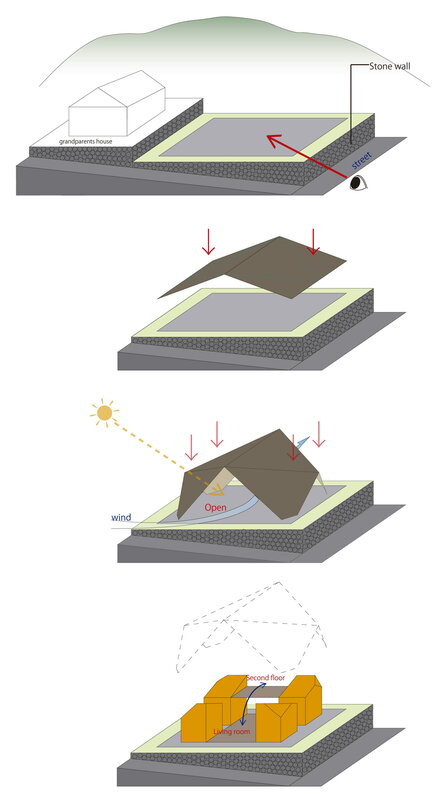 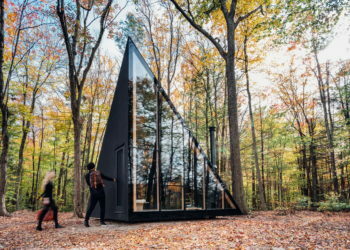 The origami-like roof is the angular roof folded in five places to create a series of triangular facets. 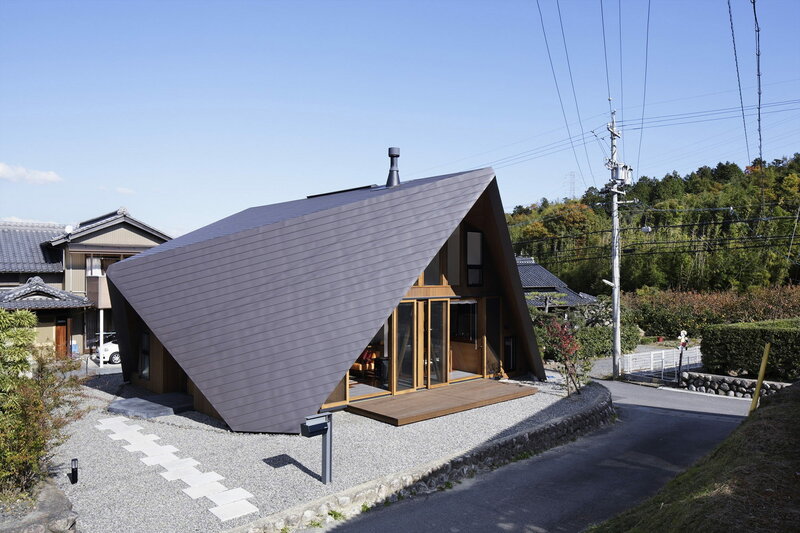 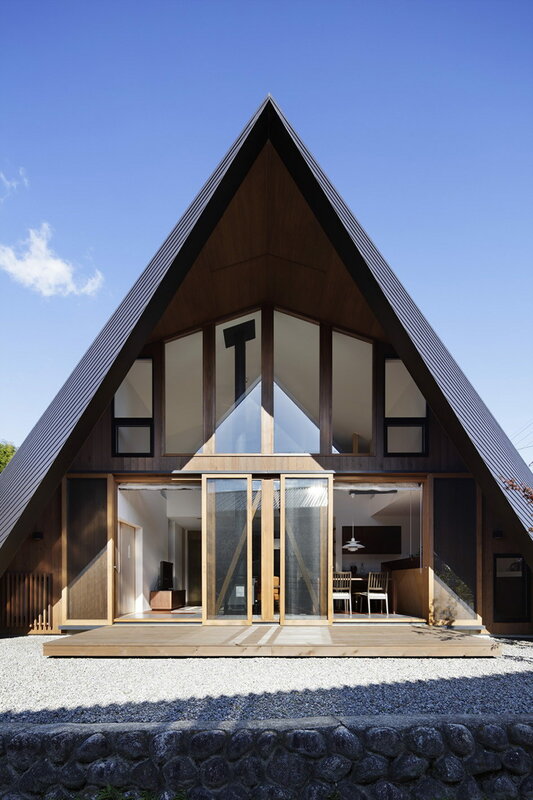 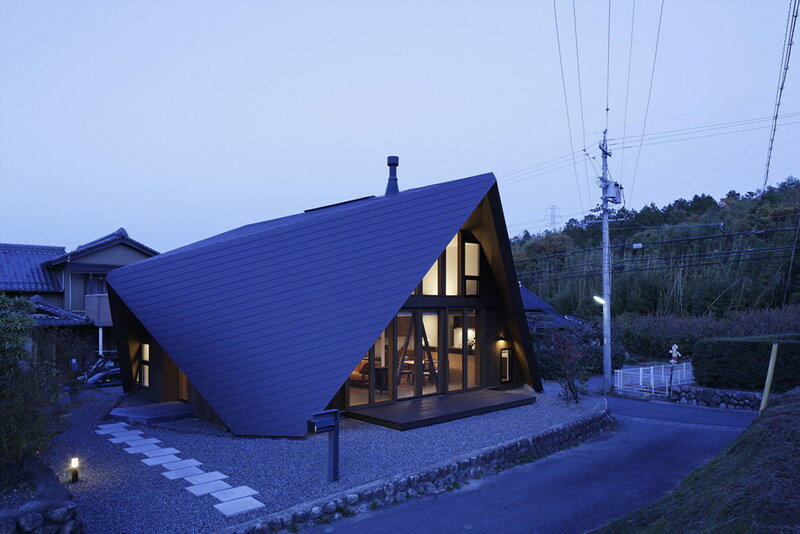 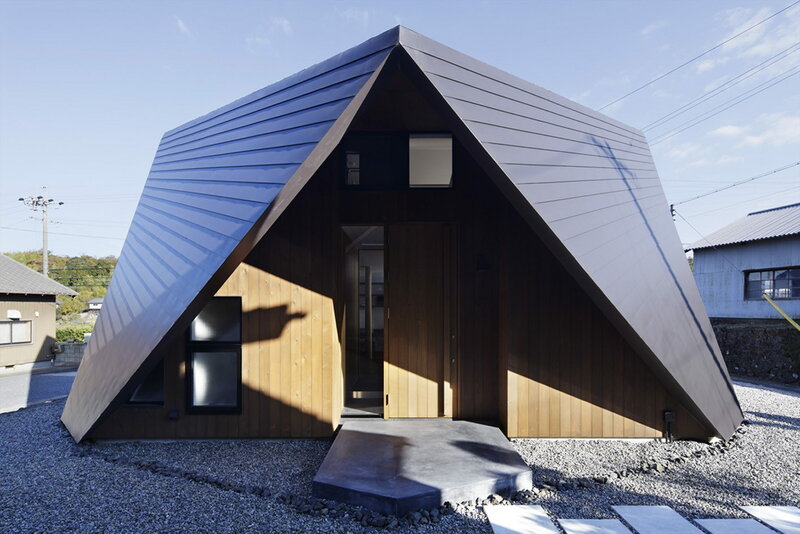 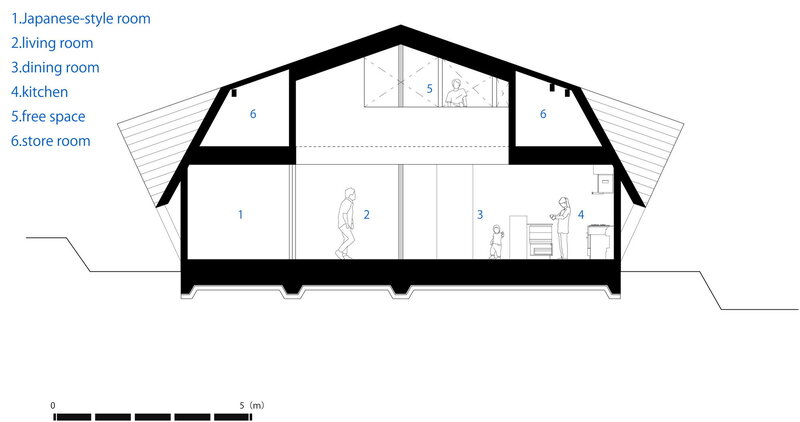 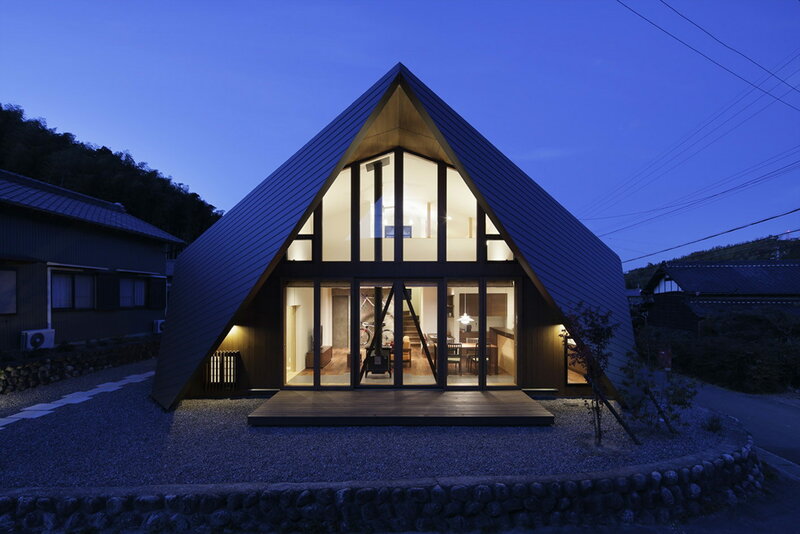 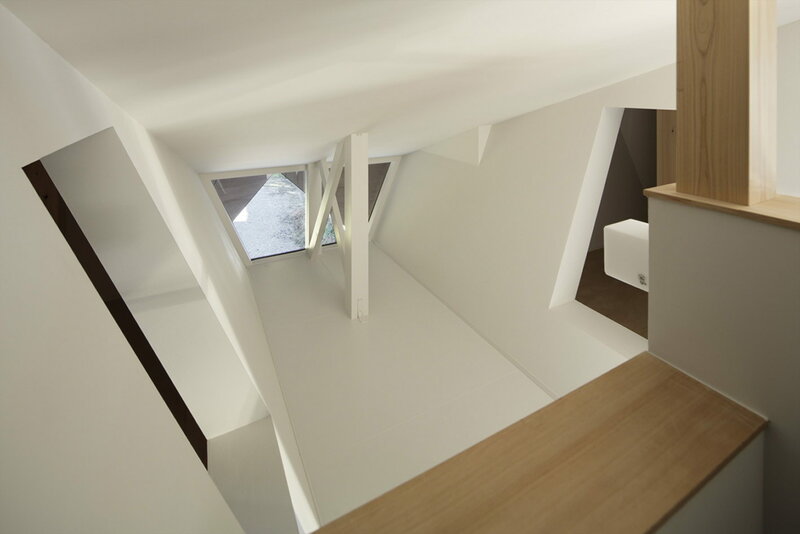 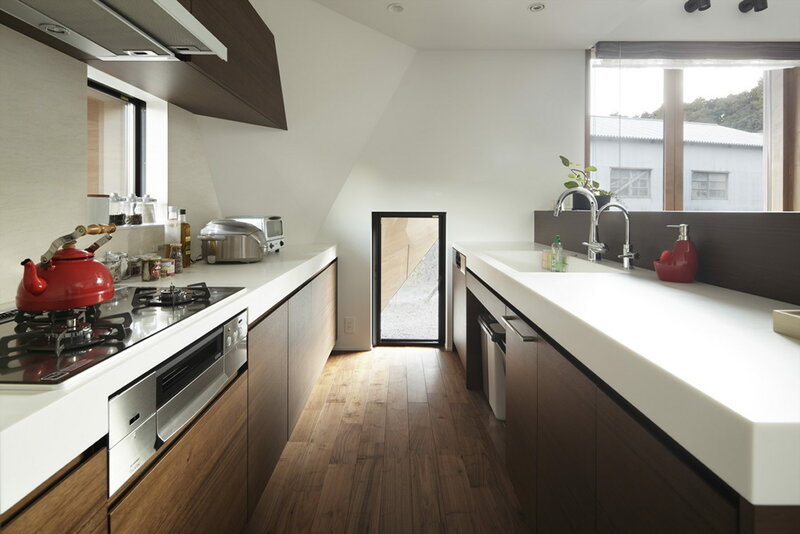 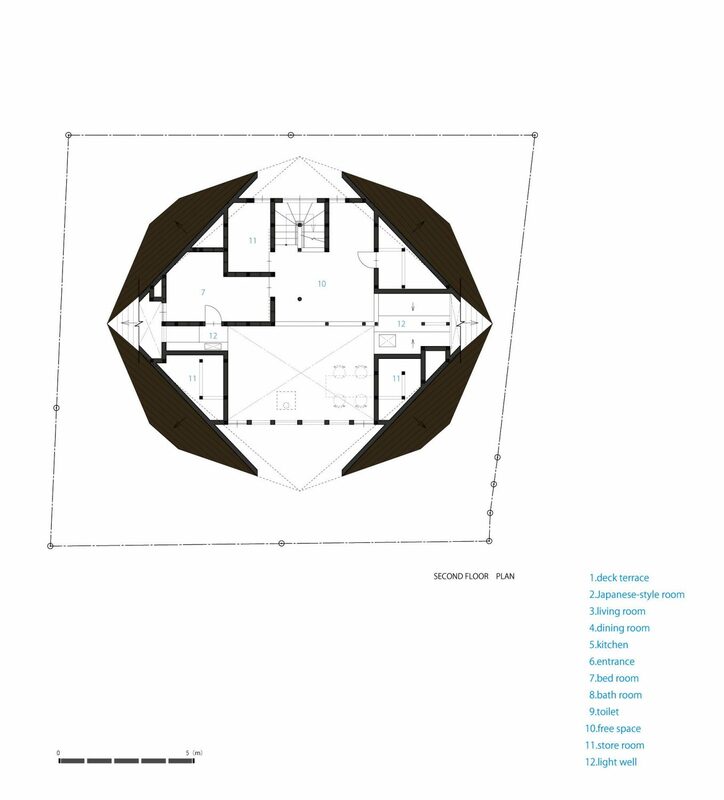 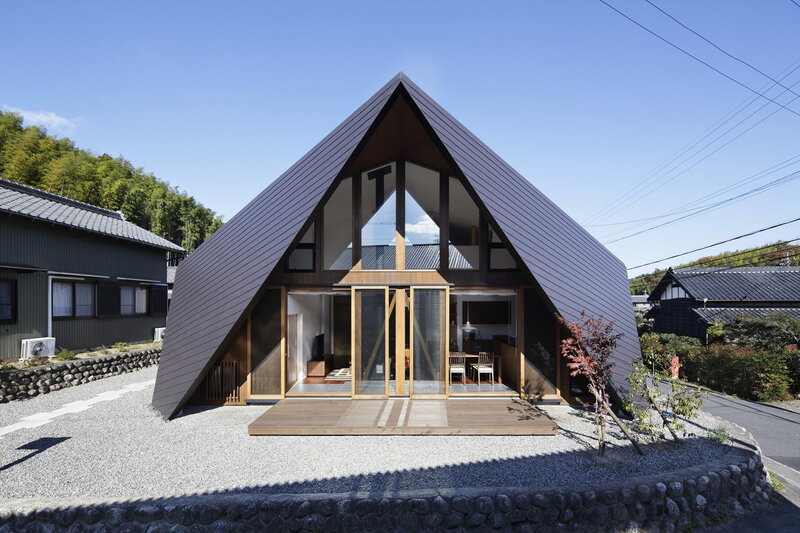 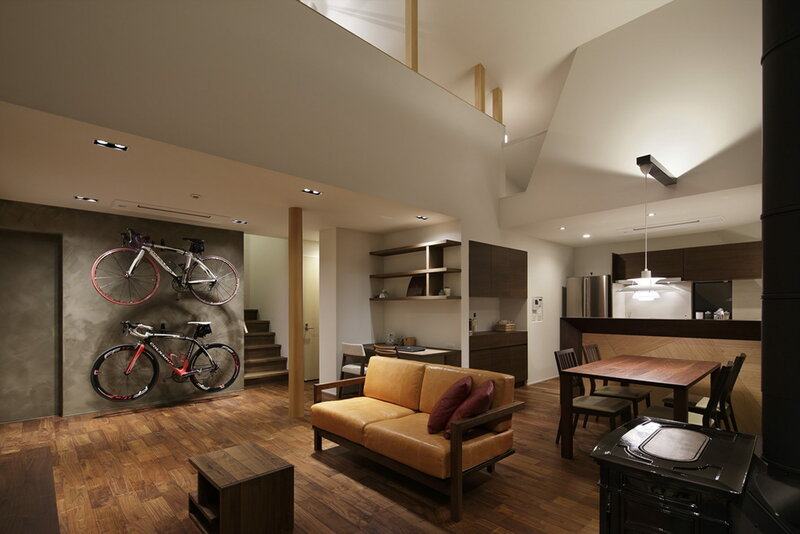 This house is planned so that the internal space wrapped in the origami roof. 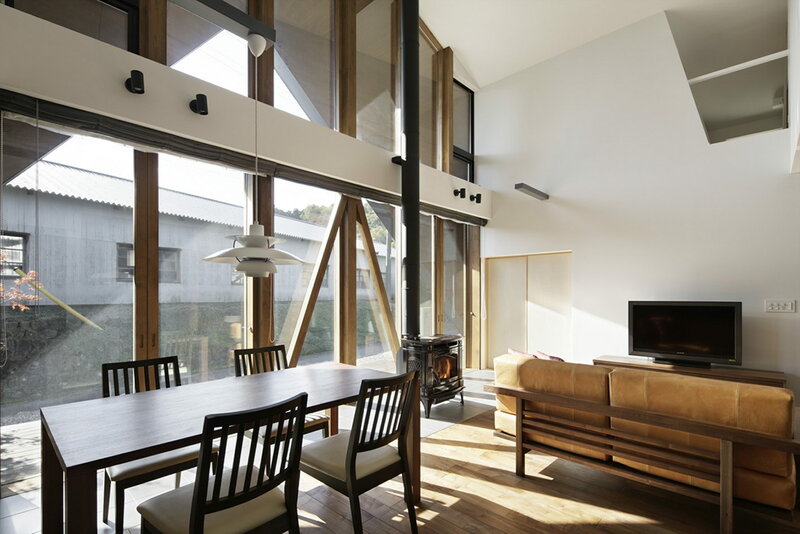 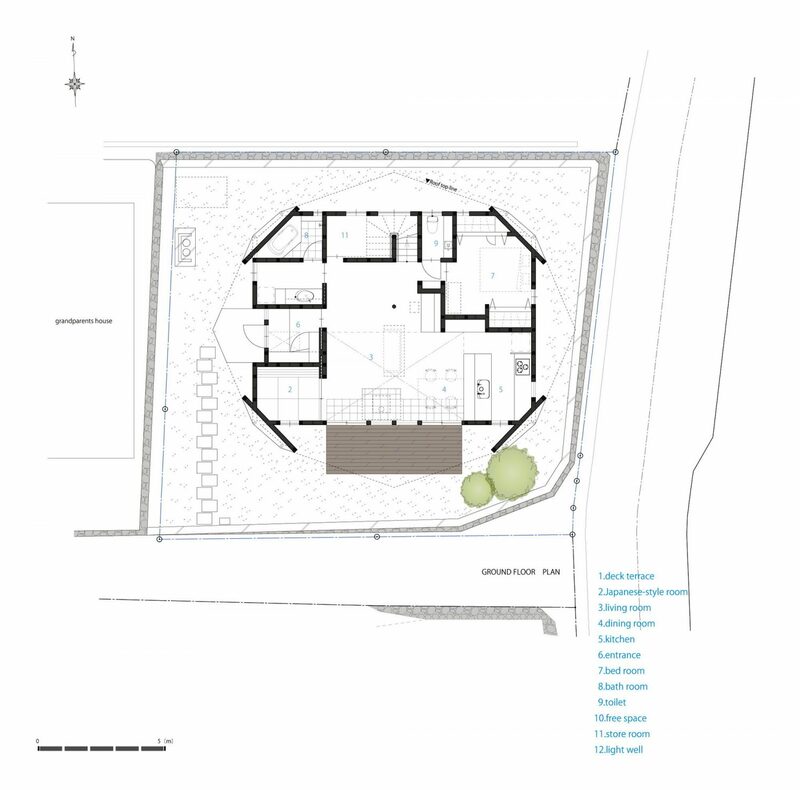 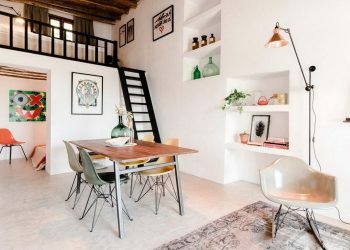 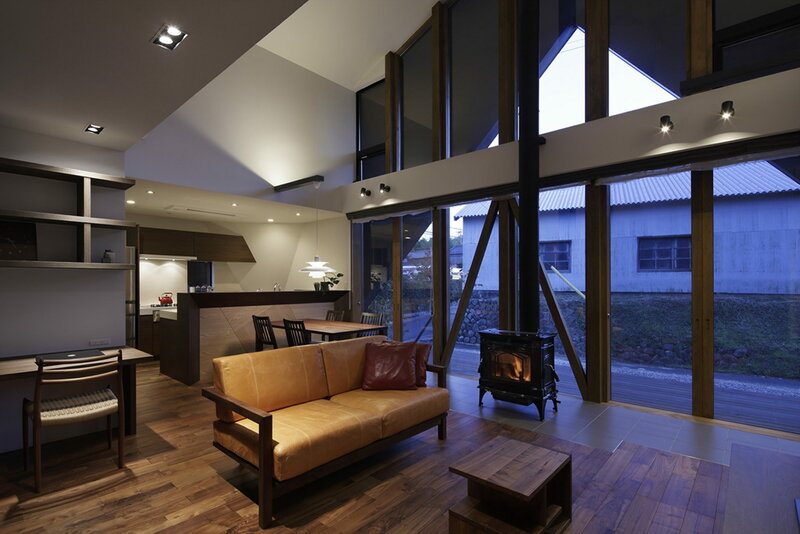 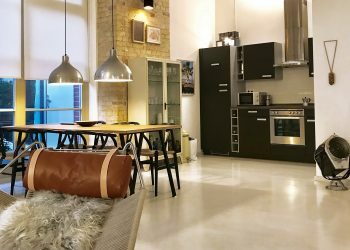 The architect places the living room and dining room in the centre of the house to utilise internal space and locates other rooms (kitchen, Japanese-style room, bedroom, and bathroom) to surround it. 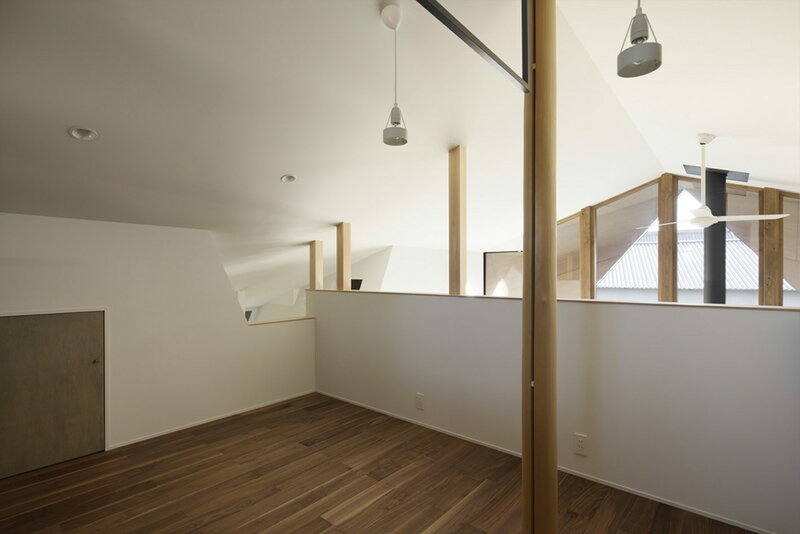 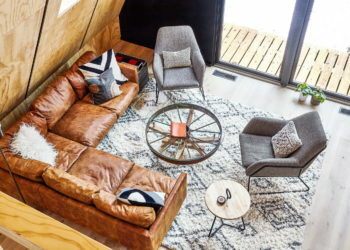 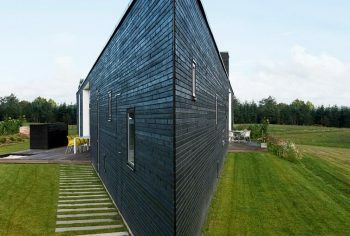 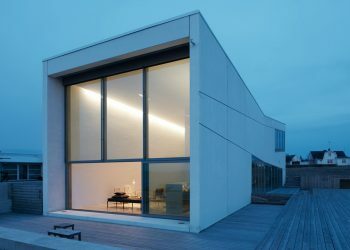 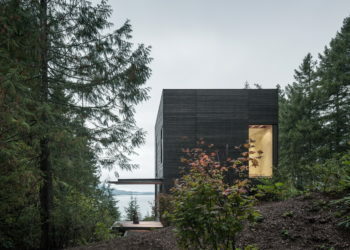 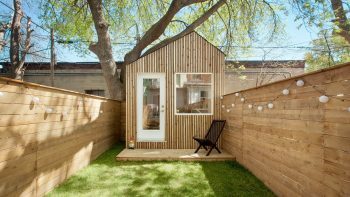 The half outside space of a terrace connected from the living room is protected by wood soffit. 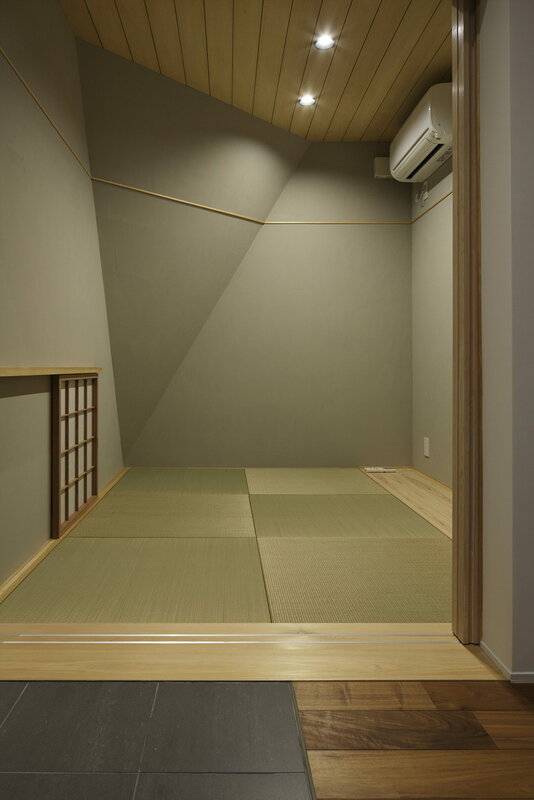 This space will become the place of the community with the people of the village.